Water is the moving force behind hydroponics. To use a cliche, it is the lifeblood of a hydroponic grow system. In the absence of soil-based nutrients, it is the circulating water that delivers nutrients to your plants. Ideally, you should be using the purest water available when creating a hydroponics system. The big commercial grow operations can afford to use massive water purification systems to ensure this. But systems like distillation and reverse osmosis may be impractical or too expensive for smaller home-based growers. That leaves tap water from the local municipal supply as the sole option. But as you have no doubt noticed, municipal water supplies do inspire much confidence these days. Okay, maybe we can strike off reports of chemical and biological contamination as outliers, the result of severe violations of Federal guidelines. But that still does not mean that tap water is the same as pure water. Simply put, tap water is the stuff that is pumped into your homes by your local municipal supply. This water is filtered and chemically treated to remove bacteria and impurities. There are many ways in which municipal water is treated in the US. These processes vary depending on your location, but the basic guidelines are laid down by the EPA and are universal. The result of all these processes is the water that we all know as tap water. Depending on the source of water, and the level of environmental pollution in the area and other factors, the quality of tap water will fluctuate drastically. It was estimated that nearly 77 million Americans were getting contaminated tap water containing a host of harmful chemicals, bacteria, and other harmful particles. 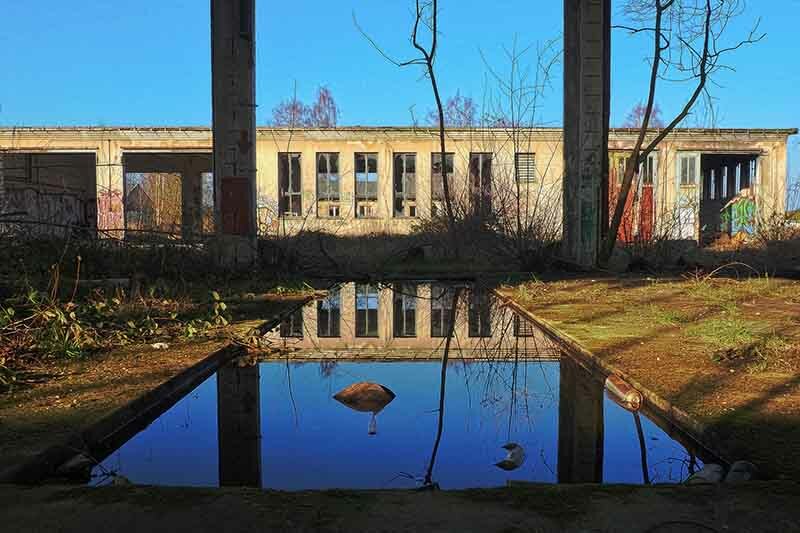 That water is not safe for human consumption, let alone hydroponics! But let's consider the best case scenario: a tap water supply that contains no heavy metals or carcinogens, and has been properly treated and filtered according to EPA standards, making it safe to drink. In the next section, we will look at the dissolved particles in this drinking water and how they render it unsuitable for hydroponics. Straight up, elemental chlorine is a toxic gas that could kill you. It is used as a poison in water treatment to kill bacteria. Chlorination of water is considered as a necessary evil. 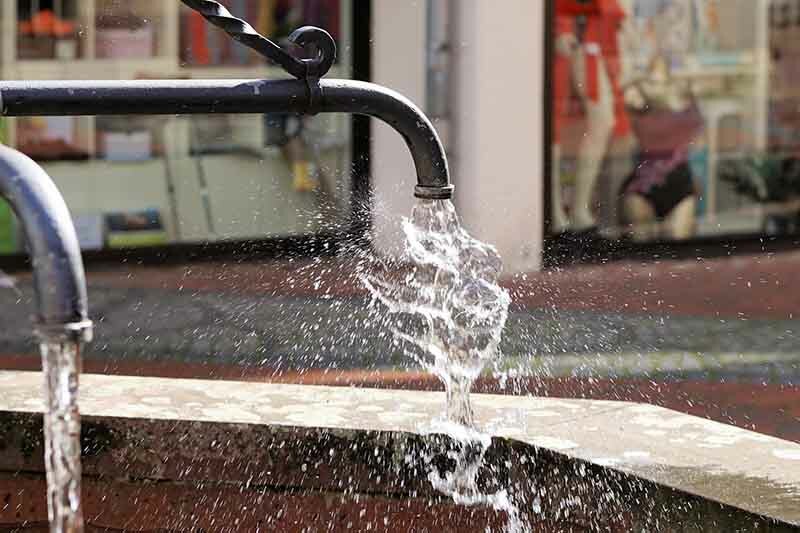 Municipal water can contain a host of dangerous bugs that spread diseases like cholera and typhoid. Adding chlorine to the water is a cheap and effective way to kill all bacteria. The element is added either as compressed gas or in the form of various hypochlorite solutions. Chlorine is equally toxic to humans and animals as well. But the levels in tap water are kept low enough to avoid outright toxicity. Concerns do exist regarding long-term effects of drinking chlorinated water, but no harmful effects have been proven, yet. Chlorine in water is bad news for plants in general. Even gardeners dislike using tap water for their plants. But in gardens, the soil acts as a rather effective barrier, preventing any serious ill-effects to plants. But in hydroponics, this barrier does not exist. So any dissolved particle or contaminant in water, including chlorine will have a larger impact on the plants. The main concern is the toxic effect chlorine has on all bacteria and single-celled organisms. This also includes the beneficial organisms that live in the roots of plants. In high concentrations, chlorine can also severely impact the health of your crops, especially leafy greens, and fragile fruit plants. But that is not a significant concern as tap water chlorine levels are usually regulated. But dealing with chlorine is relatively easy. The substance disintegrates on its own when exposed to UV radiation. The easiest way to achieve this is to leave the water out in the sunlight. This can be a bit of an inconvenience when dealing with large amounts of reservoir water, but it is certainly a simple and relatively inexpensive method. Chlorine is not very popular among water consumers due to the unpleasant odor and taste it imparts to the water. And as we already noted, chlorine does not last very long in water. As a result, many water treatment plants have started using chloramines instead of plain chlorine to kill bacteria in the water. If you like keeping fish in aquariums, you probably know a lot about chloramines already. The stuff is lethal for fish due to its toxicity. If you are brewing beer at home, the stuff can give an off-taste to your final product. Even more seriously, the chemical is dangerous for kidney patients when they are under dialysis. Chemically speaking, chloramine is a combination of chlorine and ammonia. It has the same toxic effect on microorganisms but does not leave a foul taste and smell. The compound is also far hardier and long-lasting than chlorine. In hydroponics, its presence in the reservoir water can lead to stunted growth in your crops. It still breaks down when exposed to UV rays, but takes longer than regular chlorine. This is a catchall term that simply means "parts per million." it is used to calculate the quantity of a contaminant dissolved in air or water. Even chlorine and chloramine levels are calculated and represented using PPM. But here, we will be talking about other dissolved particles, specifically, minerals like Calcium and Magnesium. Hard water is water that is rich in these mineral ions. Typical levels in tap water average around 150-400 PPM, but it can go much higher than that. Calcium and magnesium are minerals that plants need for healthy growth but in small quantities. When these minerals exist in high concentrations in tap water, they are of no benefit to plants and can cause severe harm instead. The pH levels can drastically affect the way nutrients are absorbed by your plants. Most hydroponic nutrient mixes are designed to work at designated neutral pH levels. Using water that has excess pH will affect the health of the plants and can cause wilting or worse. And using pH adjusters with hard or soft water can further complicate matters. These usually contain salts of phosphorus or potassium, which are common ingredients in nutrient mixes. So essentially, you end up messing the nutrient balance. Using filtering systems or Reverse Osmosis is the only way to deal with high pH tap water. Chelates are special compounds that are found in all hydroponic nutrient mixes. In hydroponics, you need the nutrients to be equally distributed in the water, and freely suspended. And many trace nutrients are not easily absorbed by plant roots because of their charged ions. They readily form other insoluble compounds which plant roots cannot absorb. Iron and other metals often face this issue. Chelates are substances that attach to these highly reactive ions and protect them. This raises the availability of these nutrients, making it easier for plants to absorb them. But these chelates also work with other harmful ions in tap water, like chlorine. So when you mix tap water with hydroponic nutrients, any metal ions already dissolved in water has a higher chance of ending up in your plants. Needless to say, this is bad news for your crops. And one of the core reasons why ordinary tap water and hydroponics usually have a tough time co-existing. The one thing you must avoid at all costs is using water straight from the tap right into your reservoir for the grow system. 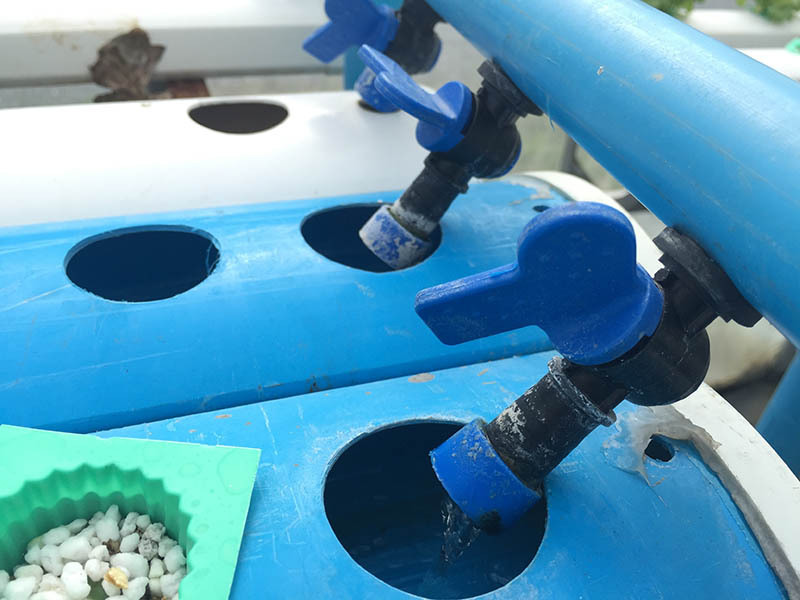 If you can gain access to other pure sources of water, you can try the following steps to soften the blow of tap water on your hydroponics system. Find out if your municipal water uses chlorine or chloramine as the disinfectant. If it is chlorine, you can leave the water out in the sun for 48 hours (at least 24) to remove the stuff. Sunlight is effective against chloramine as well but it can take ages. So you have to use other measures. Activated carbon is an easy option. You will find this stuff in most water filters available on the market these days. Filter the water using an activated carbon filter. Another option, often preferred by brewers, is using Campden tablets. Potassium or sodium metabisulfite, the active ingredient, kills germs and also removes all forms of chlorine, including chloramine. There is no easy way to deal with hard water. One cheap option is to use a basic water filter. You will have to replace the filters often, and not all the dissolved minerals may be removed effectively. Reverse osmosis filters can do a much better job at reducing dissolved mineral particles in water. But they are usually expensive and can take time to work. They also result in wastewater as a byproduct. Distillation is another option which is again expensive and energy intensive. To answer the question - can you use tap water for hydroponics? The answer is yes. Know the water in your area. Know the chlorine, chloramines, and PPM level of your water and treat it properly before starting. 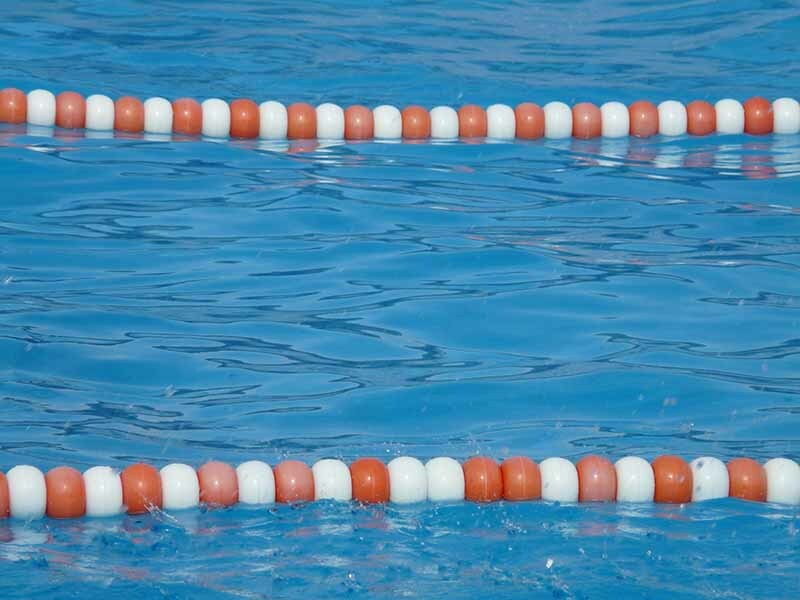 Some factors, like chlorine and chloramines, can be dealt with relative ease. Others, like a high concentration of dissolved minerals (hard water), pose a difficult challenge but it can be solved. Contaminated tap water is a serious health issue these days. 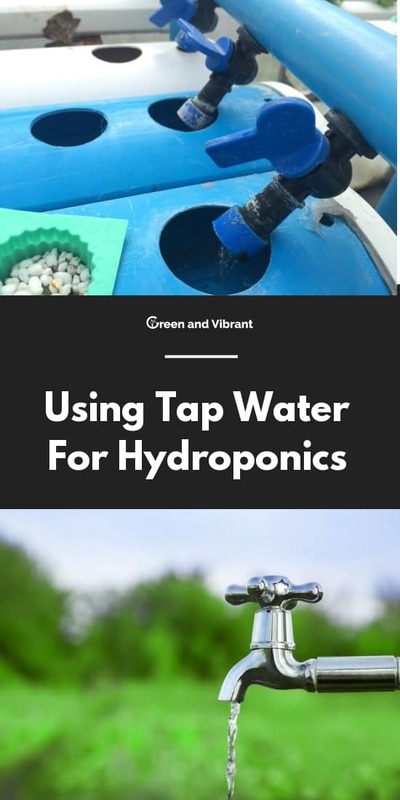 But for hydroponics, even relatively clean tap water can have adverse effects because you mostly use water for all of your growing. So your job as a hydroponic grower is to start with as clean water as possible.